The Chalmers Motor Company of Canada Limited set up shop in Ford City, Ontario in 1916. The Maxwell concern also began building cars and trucks in nearby Windsor that same year. It made perfect sense for the two American automakers to do so, after all, a presence in the Canadian market gave them duty-free access to the entire British Empire market. A year later, both firms found themselves in trouble. Since the two brands did not compete in each other’s fields. a merger was attempted. They would share expertise and dealerships. The deal quickly went sour and the merger was never completed. The stalled-out company was $26 million in debt and bankers quickly brought in Walter Chrysler, who had just rescued Willys-Overland from bankruptcy, to work his magic at Maxwell-Chalmers. 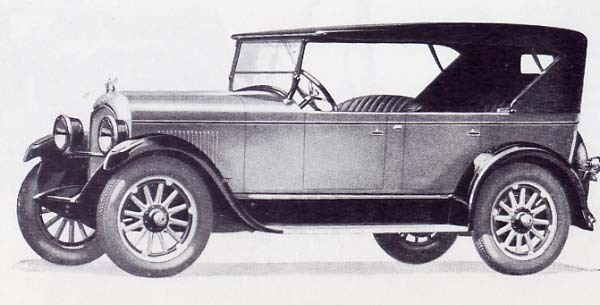 Chrysler rolled up his sleeves at the ailing automaker in August of 1920. Chrysler had a railroad background and moved to automobiles when Charles Nash hired him to be the works manager at the Buick Division of General Motors. Chrysler left GM in 1919 because he couldn’t get along with Billy Durant, the often irrational president. Chrysler was promptly hired to clean up the mess at Willys-Overland and get the company on solid footing. It took a year and then he was free to pursue other interests. The Maxwell-Chalmers offer was exactly what Chrysler hungered for. He wanted stock options as well as salary so that he could eventually control the company. The 45-year old captain of industry yearned to put his own name on the radiator of a car, just as his friend Charles Nash had done after the latter stepped down from the presidency of General Motors in 1916. It took Chrysler four years to sort out the mess at Maxwell-Chalmers. The slow-selling Chalmers was sent to automotive heaven and millions of dollars were spent to make repairs to tens of thousands of faulty Maxwell vehicles. Mechanics were sent out into the field to fix everything from broken axles to gas tanks that fell off the vehicles. From Cape Breton to Vancouver Island Canadians knew only too well that the Maxwells were poorly designed. They knew because Percy Gomery, a strong advocate of the Trans-Canada highway, attempted to drive one across the country in 1920. The trip was a disaster and unfortunately for Maxwell, a highly publicized failure at that. The money spent on repairing the cars and the brand’s reputation was well spent. The “Good Maxwell” did very well in the market place and with Chalmers out of the picture, the Maxwell-Chrysler Corporation was established. 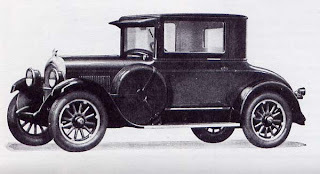 In June of 1925 the Maxwell name was laid to rest when it became obvious that the Chrysler name was hot and Maxwell was not. In fact, Chrysler was outselling Maxwell four to one, despite the higher prices for the former. The last Maxwell rolled out of the Windsor, Ontario plant decorated in flowers. 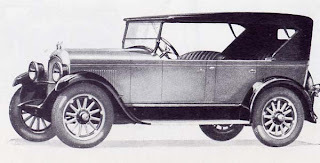 The Chrysler Corporation of Canada Limited was established on June 27, 1925. 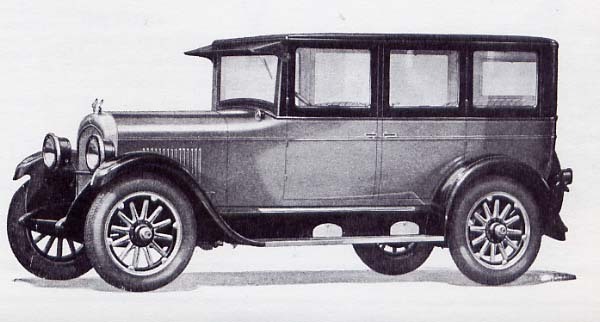 The frame of the Chrysler Four was of rigid construction, thanks to four heavy cross members. Four-wheeled brakes were an extra-cost option. Under the hood of the 1925 Chrysler Four one found an engine that had conquered vibration though special rubber mountings that insulated the motor from the frame. 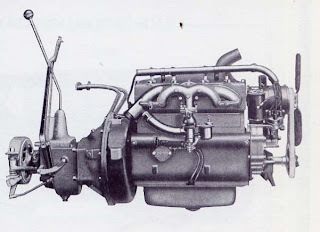 The engine was a new 158-cubich inch L-head with a full-pressure oil system. It generated 68 horsepower. Advertising bragged, “58 miles per hour” and “5 to 25 miles in 8 seconds!” The quick getaway was courtesy of a semi-automatic spark control. A three-speed manual transmission was employed. Four models were offered. The Touring car listed for $1,240 and was finished in Beige Brown Duco with natural wood wheels. The Club Coaches were painted Sheraton Gray Duco. Both models’ interiors were upholstered in hand-crushed dualtone Spanish leather. The Coach was also painted Sheraton Gray Duco and upholstered in plush. The Sedan was finished in plush “in an exclusive pattern” and painted Beige Brown Duco outside. The body and louvres were striped in Canterbury Blue. All of the closed cars featured bodies by Fisher. The 1925 Chrysler Four Touring rode on a trim 109-inch wheelbase like the rest of the ChryCo family. The 181 employees at the Canadian factory turned out 7,857 Chrysler vehicles in its maiden year. The Chrysler Four was popular and made up a large percentage of the new company’s sales.